Carla A. DeLoach, Esq., LL.M. - DeLoach, P.L. Our People » Carla A. DeLoach, Esq., LL.M. Home » Carla A. DeLoach, Esq., LL.M. 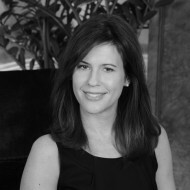 Carla A. DeLoach, Esq., LL.M. Asset protection advice to clients with creditor sensitivity ranging from professionals to individuals seeking to protect their family fortunes from potential risks. She publishes in legal and business journals and lectures on estate planning to community organizations, business organizations and local legal groups.